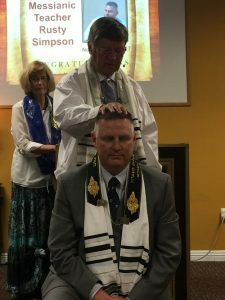 Elder Rusty Simpson, an ordained Messianic Teacher, has been a follower of our Lord and Savior since he was called out of the darkness at the age of 23. Having been an atheist before his calling, his biggest fear at the time was that he would become “one of those people who believed the Bible.” God has a great sense of humor, for that is exactly the transformation that God has led him through! With a great love for the Word of God instilled in him, he studies the Bible with an understanding that God wants us to understand His Word and that God has carefully chosen his words to impart that understanding in us. He is husband to Elder Amy Cromer-Simpson and father to two beautiful daughters, Katziah and Olivia. 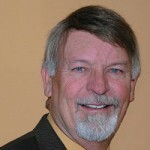 Elder Rusty is a Leadership Team member and serves on AMC’s Board of Elders. Elder Amy Cromer-Simpson has felt the presence of the Lord from a very early age. Though she has had a life of trials and difficulties, she has seen the blessings of the Lord through it all. She is a Phoenix native and attended St. Jerome’s Catholic School before transferring into the public school system to pursue her love of animals. 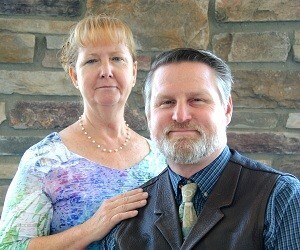 She is wife to Elder Rusty Simpson and mother to two beautiful daughters, Katziah and Olivia. Elder Amy is a Leadership Team member and serves on AMC’s Board of Elders.